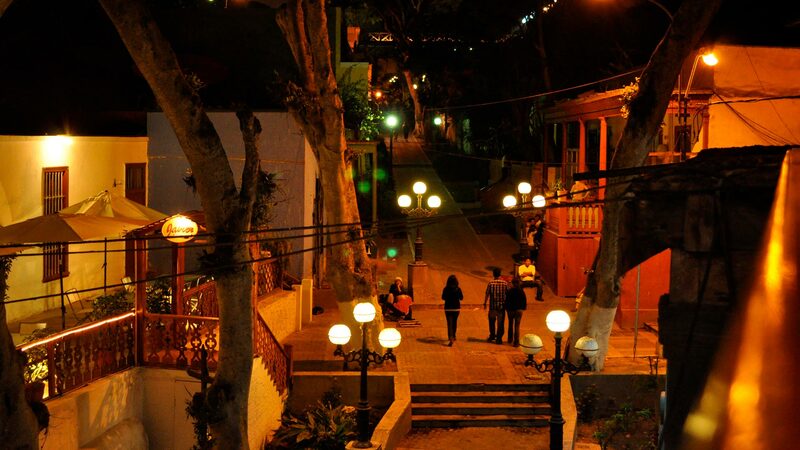 Whether you stay at our apartments in MIRAFLORES or BARRANCO, you’ll find all necessary amenities at walking distance. Impossible to beat. 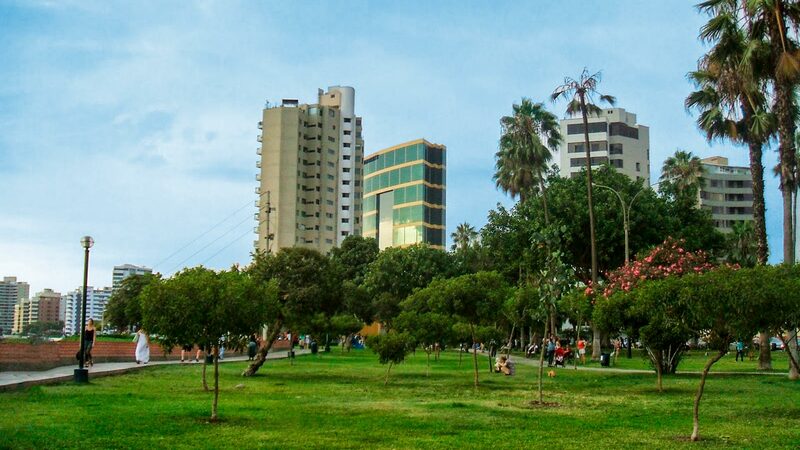 You will be in the heart of Miraflores, a touristic, residential and business district located in the southwestern part of Lima. Walking distance to all your needs: two blocks from the promenade and stunning views of the Pacific Ocean; two blocks from Larcomar (shopping and entertainment center); next to the best restaurants in town; 300 meters from the Marriott Hotel, the Hilton Hotel, the Belmond Miraflores Park Hotel; very close to restaurants, bars, coffee places, bakeries, banks, parks, convenience stores, churches, beauty salons, the Inca market. Av. Vasco Nuñez de Balboa 747. It overlooks the street, but it is part of a strip mall. Calle Alcanfores 1280, Miraflores (corner with Armendariz). Calle San Fernando 291. Great empanadas to go. Av. Larco 1285. Really good espresso. Professional baristas. Av. Vasco Nuñez de Balboa 777, corner with Av. Reducto. Av. Vasco Núñez de Balboa 326. Av. La Paz 1079, next to Hilton Hotel. Peruvian food, with Amazonian influence, by one of Peru’s best chefs. Av. Armendáriz 299. Italian food. Bonbonniere located inside Larcomar Shopping and Entertainment Center. Malecón de la Reserva 610. International and Peruvian food, it has a great ocean view. Located in Larcomar Shopping and Entertainment Center. Malecón de la Reserva 610. Italian food, it has a great ocean view. Google Map Located inside Larcomar Shopping and Entertainment Center. Malecón de la Reserva 610. Chinese, it has a great ocean view. Inside Larcomar Shopping and Entertainment Center. Malecón de la Reserva 610. Peruvian, it has a great ocean view. Malecón de la Reserva 610. Along this avenue there are various stores of clothing, crafts, alpaca and cotton goods. There are two big handicraft markets on Av. Petit Thouars block 52 and 53. 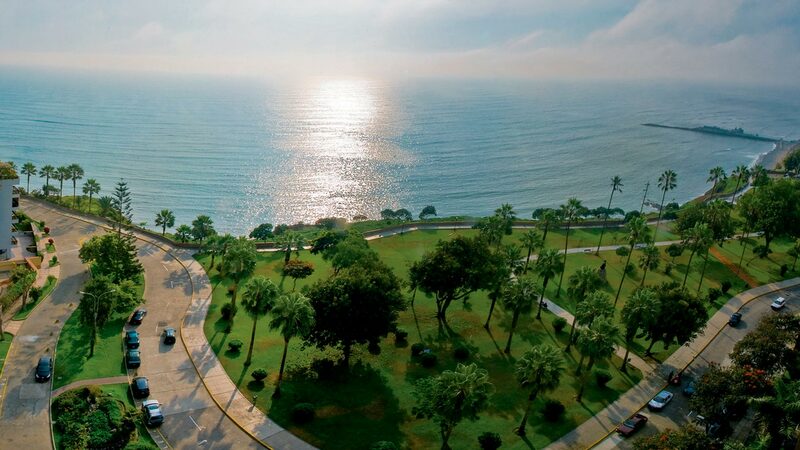 Enjoy Miraflores while walking its almost 5 km of Malecones (Malecón de la Marina, Cisneros, de la Reserva and Armedariz) overlooking the Pacific Ocean. The Broadwalk also continues in the neighboring districts of Barranco and San Isidro. Malecón de la Reserva 900. 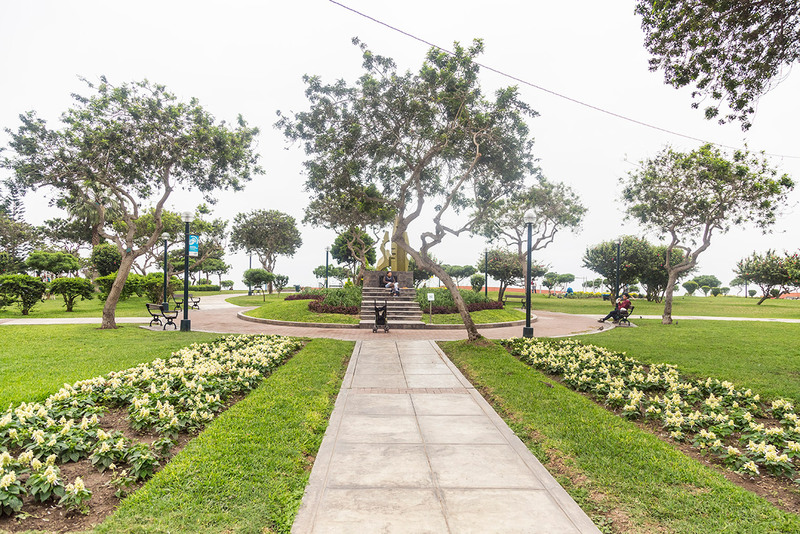 Located 4 blocks away from Manor House, this park overlooks the Ocean. Calle General Borgoño cuadra 8, s/n. Archaeological pre-Colombian site (Lima Culture), occupied between 400 and 700 A.D. Between the first and second blocks of Av. Larco and Av. 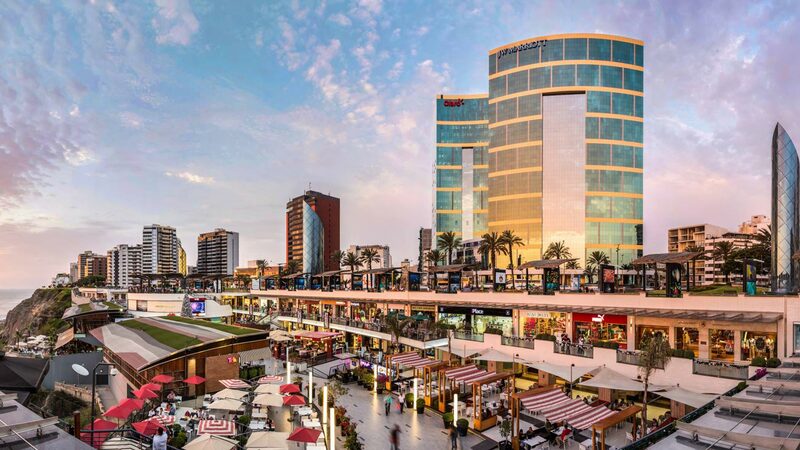 Diagonal, you will find arts and craft vendors, coffee places, restaurants, bars, City Hall and the Virgen Milagrosa Church. Av Jose Larco 450. Municipal Gallery that presents individual and collective exhibitions of national contemporary artists. 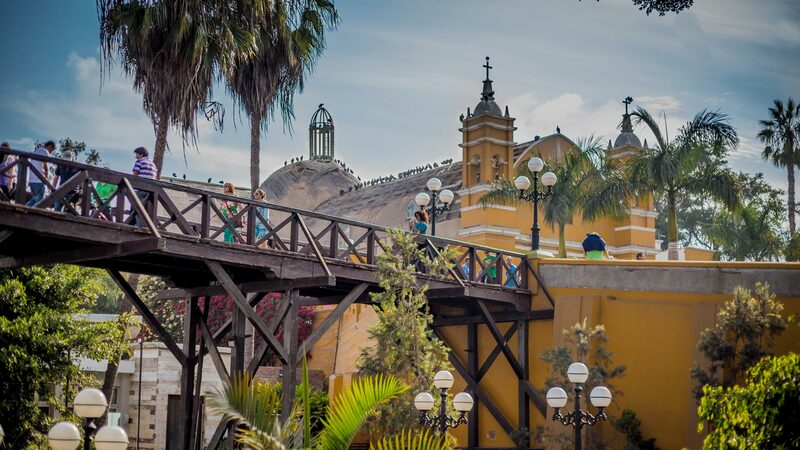 Barranco is an eclectic and trendy neighborhood located by the Pacific Ocean with very traditional areas and old buildings, as well as modern ones. You’ll find plenty of bars, restaurants, craft and design shops, museums and art galleries. The apartment is located a 5-minute walk from the boardwalk and 15-minute walk from Larcomar Shopping and Entertainment Center (Miraflores). 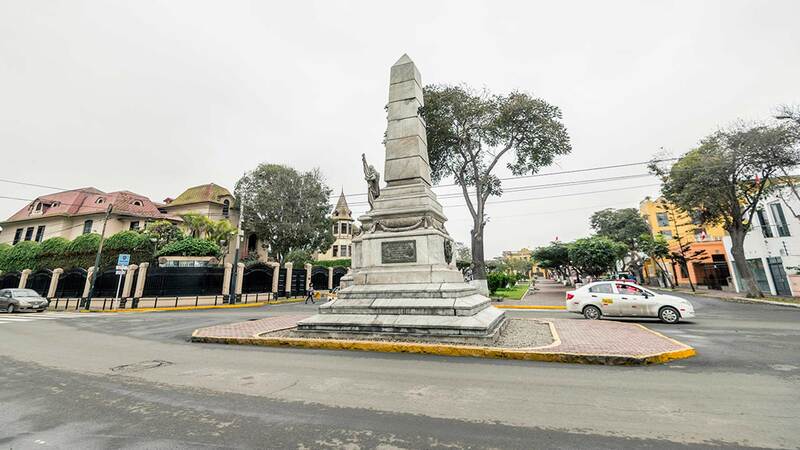 It is close to banks, convenience stores, beauty salons, and supermarkets, as well as connected to other neighborhoods in Lima. Jirón 28 De Julio 202. Ice cream, hot chocolate and coffee. Jirón Sucre 335. Sandwiches, salads, juices, desserts, coffee. Jirón Domeyer 219. Sandwiches, salads, juices, desserts, coffee. Avenida San Martín 480. Sandwiches, salads, juices, desserts, coffee. Avenida Pedro de Osma 116. Sandwiches, salads, juices, desserts, coffee. Avenida Prolongación San Martín 201. Pizzas, pastas and salads. Avenida Grau 340. French basque food. Jirón Genova 101. Sea food and ceviches. Jirón Centenario 105. Meat restaurant. Avenida Grau 320. Pizzas, tapas and a good wine list. Avenida Grau 689. Pizzas, pastas and salads. Boulevard Sáenz Peña 204. Peruvian and Mediterranean food by a great Peruvian chef. The bar is also nice. Jirón Colina 112. Vegetarian pizzas and salads. Jirón Cajamarca 212. Nice traditional handicrafts from Peru. Boulevard Saenz Peña 295. Utilitarian Peruvian art and handicrafts. 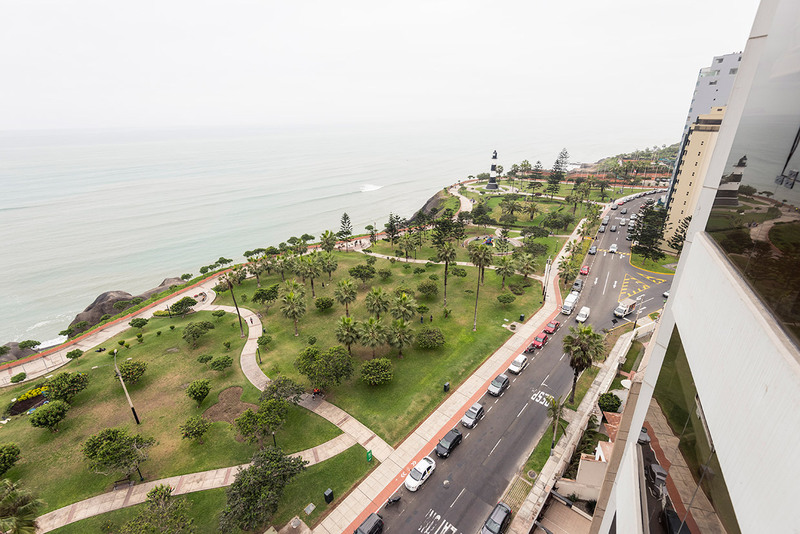 Enjoy Barranco while walking around its 2 km of Malecones (Malecón Paul Harris, Pazos and Junin) overlooking the Pacific Ocean. The Broadwalk also continues in the neighboring districts of Chorrillos and Miraflores, as well as San Isidro. Avenida Grau 1511. Lima Contemporary Art Museum exhibits Latin American and European contemporary art. Avenida Pedro de Osma 409. The photographer Mario Testino founded this center that exhibits international contemporary art and photography, as well as his own work. Avenida Pedro de Osma 421. 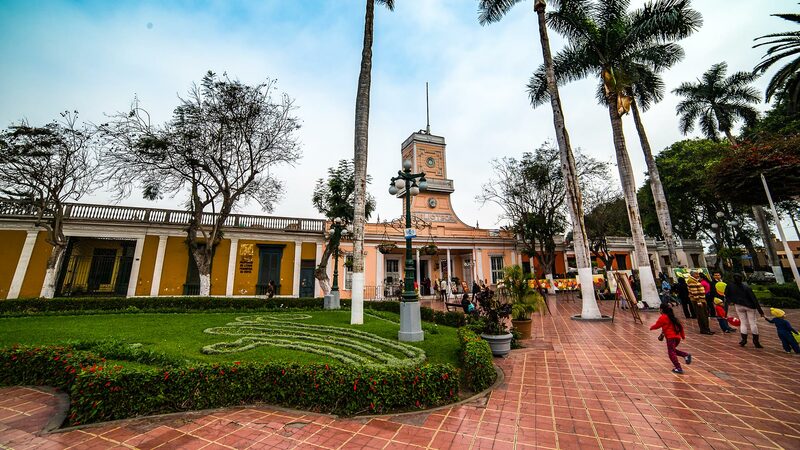 The museum exhibits pre-Colombian and Colonial art. Located between Jirón Sucre and Jirón Ayacucho. It was built in 1876 to unite two streets and later received its name from the innumerable romances that grew there. It served as inspiration to the famous song of the same name of Peruvian composer Chabuca Granda. Bajada de Baños (Descent Of The Baths), located bellow the Bridge of Sights, is a gully that takes you to the beach, it has bars, restaurants and a view of the ocean. Next to the Bridge is located the Hermitage Church. Located between the second block of Avenida Grau and first block of Avenida Pedro de Osma. It is the district traditional main square built in 1898, besides its pergola and carrara marble statues, it has the Municipal Library on one side and the Holiest Church of Cross on the other.